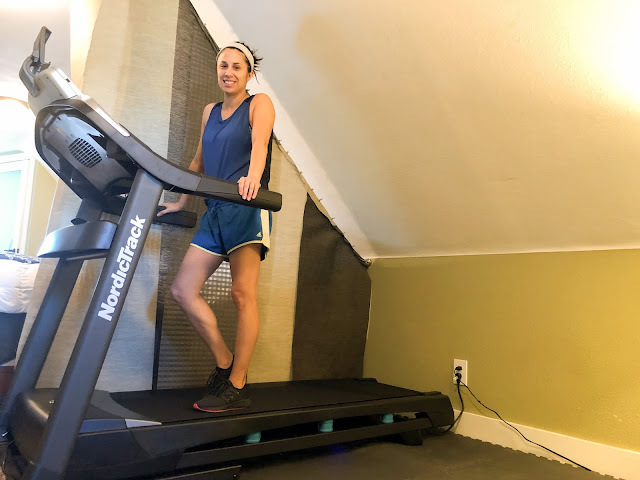 Megan Elvrum: Prepping For My 1st Marathon! Prepping For My 1st Marathon! A few weeks ago when I was in LA on a business trip, I was able to see the NYC Marathon. I grew up with my step-dad running marathons and even after I began my running journey, it was never something I thought I would ever want to do. Until I saw NYC Marathoners running past screaming crowds and the emotion they had crossing the finish line. I love races and I wanted to have that type of life changing experience for myself. 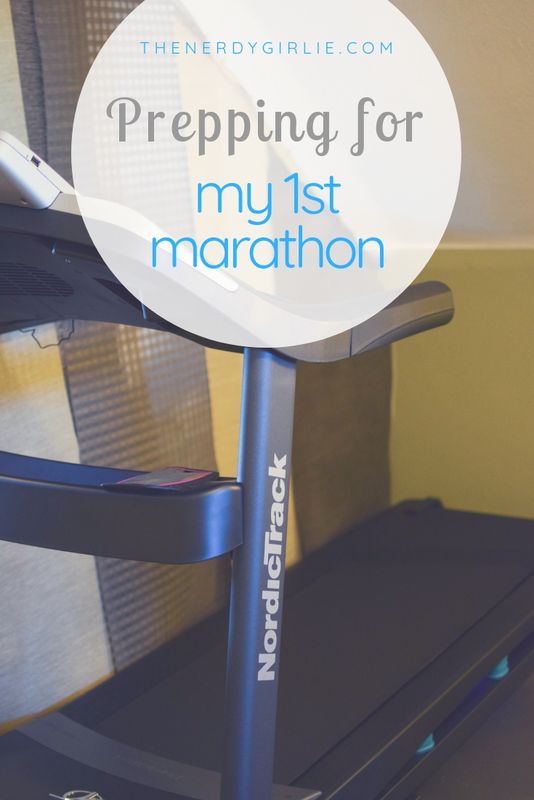 So here I go with....five ways I'm getting ready for my first marathon! 1. Creating a space. There is not a lot of space in my house. But I do have the best boyfriend, who has decided to give up his upstairs office area (he's moved it downstairs) so I can have a dedicated training space. I will have a place for my NEW treadmill and room for padded floor tiles, so there is a space where I can do weight training on my non-running days. 2. Creating a running schedule. 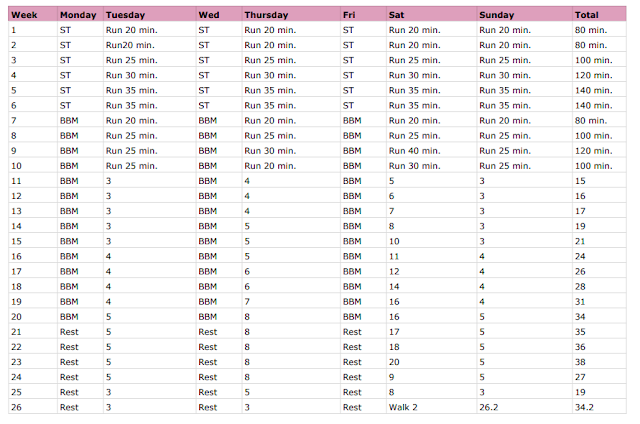 I found an outline of a marathon training program online. From there I changed it up a bit to fit my schedule better. 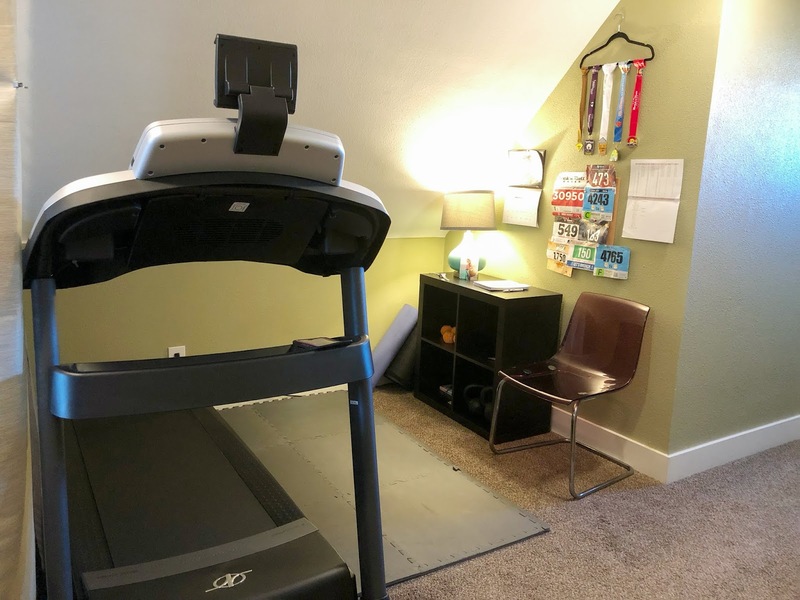 I like running on the weekends because I have more free time, but I will have to run during the week as well and that will require me waking up early before work. After work is just too much! LOL In between running days will be strength training. 3. 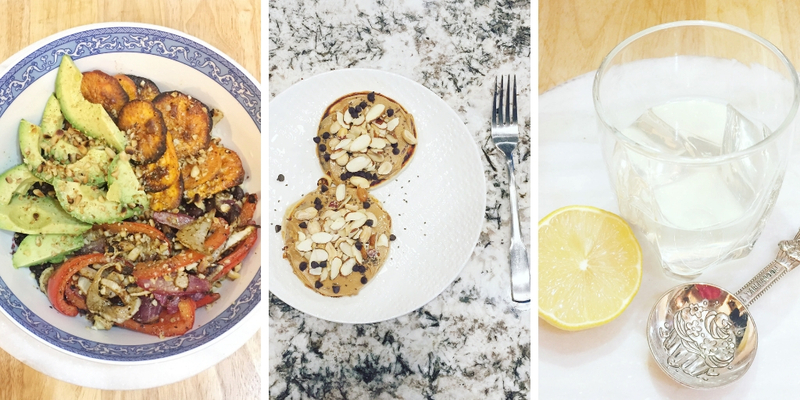 Creating a nutrition plan. As now, I've only been having a breakfast smoothie, wrap for lunch, protein shake for snack and then dinner (usually Blue Apron and usually my largest meal of the day.) Needless to say, one, I will need to start eating more and two I need to balance my meals better. There are a few running Instagrams that I follow. One of my favorites is @meowmeix. Amanda has great visuals on nutrition on her Instagram feed. I think I will compile my favorites and create a plan around that. She also as a healthy snack E-Book that I will probably purchase to help me out as well! 4. When I run. Mornings it the best for me during the week. Now that I will have my space set up in the bedroom, all I have to do is jump out of bed and get to it. 6AM runs and exercise here I come! Usually on the weekends I like to run outside, but that will depend on the Denver weather! I will also continue to do my 5K races and might sign up for a half marathon 1/2 into my training. 5. In between runs. In between my runs I will work on strength training. I am hoping that will get me faster and fitter for the marathon! 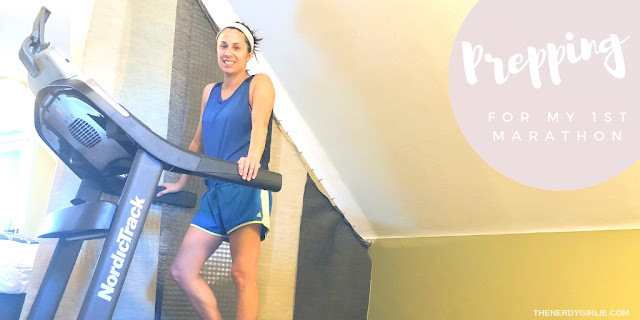 I found an article on Women's Running, 12 Strength Training Moves for Runners. 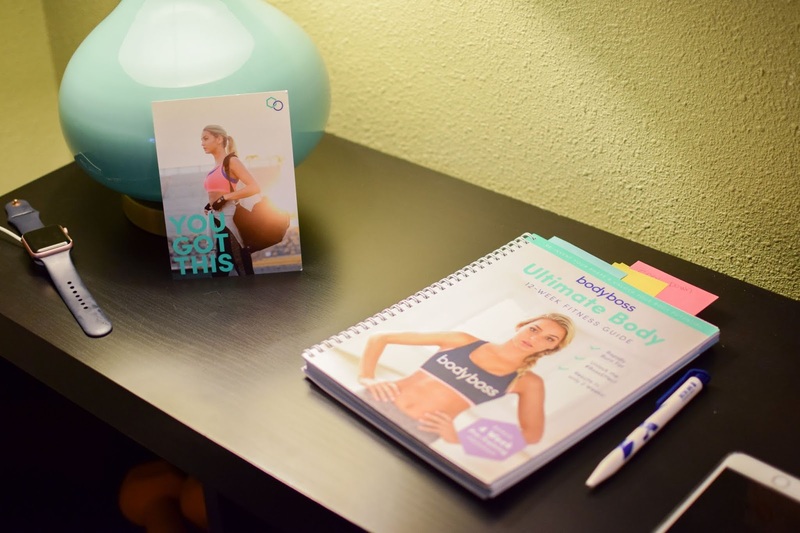 I've also started the Body Boss Method. I've seen great results on their Instagram and I love that you can take their book anywhere to work out. I will keep you updated on how both work out! I think this change will really motivate me and give both Ocean Eye's and I a place to get healthy that is easy! I will be sharing all of my progress with you over on Instagram Stories and in my timeline. Plus here as well! Fingers crossed I will get to that finish line. What do you think about running a marathon? I never thought I'd want to, but I'm feeling excited for the challenge!